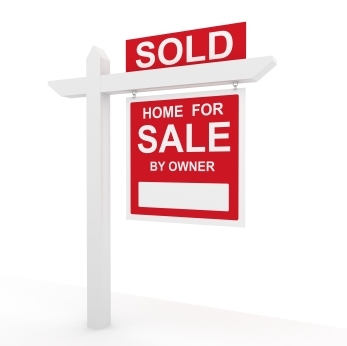 Selling your home is a big decision and not to be made lightly. It effects all the family members living in your home. This is a guide that will hopefully address some of the concerns and issues involved. If you have children in school, try to set your starting time about a month prior to the end of the school year. This way the kids won’t be involved with moving when they should be studying. If you are moving out of their school district, it will be smoother transition to a new school. If no children are involved, then you can start this process just about any time, with the exception of the Holidays, from Thanksgiving through New Year’s Day. Once the family is on board you need to prepare the home. Prior to placing your home on the market, it has to shine. You can only make a first impression once! You should complete all of the small repairs, painting if required, carpet cleaning, minimize clutter, a thorough clean, and anything else that will improve the appearance of your home. For the exterior mow and trim all grass areas, trim all shrubbery, and remove as much over growth as you can. You want the potential buyers looking at your home to see your pride of ownership. The better your home shows the quicker it will sell and for a higher price. Now that you have the home in move in condition for the new buyers, you must maintain this appearance until it’s sold. Keeping the home picked up and beds made, because you never know when your home will be shown to a potential buyer. If you need a Realtors’ input on how to get your home ready for sale, just ask. If you have pets they will be addressed later on in the showing process. Prior to placing your home on the market with a Realtor, you need to interview with serval Real Estate firms. You are the employer! The Realtors will come look at your home and give you a CMA (Comparative Market Analysis) to show you what other homes in the immediate area have sold for, so you can establish a good solid asking price. Your first two weeks are the most important time to make a great first impression. If you start out too high, it will impede a sale, if you start out too low you will leave money on the table, so a realistic asking price is very important. A Realtor with experience will easily be able to help you determine your price. The Realtors must have a good solid marketing plan on how they will sell your existing home as quickly as possible and for the best price. Part of their plan may be open houses, print and web advertising, company and personal website presence, local MLS (Multiple Listing Service), lock boxes, placing a yard sign on your property, etc. You have to feel comfortable in hiring your Realtor as this will be your strongest link in the home selling process. You and your Realtor will establish how your home will be shown to potential pre-qualified buyers. If not your Realtor, a buyers’ Realtor will be showing your home using the lock box system. If you are home, turn on ALL the lights and leave if you can. This will help buyers feel comfortable envisioning it as their own home. If you have pets (dogs especially) take them with you when you leave. Cats will usually make themselves scarce. You should have your Realtor mention that you have a pet in the house, and instructions on how the pet is to be handled. Make sure to address all of your concerns during the interview process. It’s your decision to hire a competent Realtor the first time. So now your home is shown to a buyer. They like the home and the Realtor writes an offer. If this is not your listing Realtor, the offer is sent to your Realtor and an appointment is made to review the offer. You will discuss the offer with him or her and they will advise you on what the approach to take. You can accept the offer and sign, you can counter the offer, or reject the offer. Rejecting the offer is usually not the best way to go. You already know the buyer is interested in buying your home so if the price is too low, counter the price. If closing period is too long or short, adjust it to meet your needs to match your move time. If you end up with multiple offers you should consider all of them finding the best fit for you and your family. When you accept an offer you have a pending sale. You must maintain your home until closing. Usually within 30-45 days your Realtor will let you know that the buyer has loan approval, or if a cash buyer you’ll want to see proof of funds from their financial institution. A home inspection is usually a contingency for the buyers and would most likely be performed within the first 15 days. Should the inspector highlight any items needing attention the buyers will decide if they want to request repairs. You then have the ability to negotiate on those highlighted items. As soon as that is completed you can start working on the moving process. Whether that means moving into another home you own or purchasing anew. There are always more questions and paperwork during the sale of your existing home, but with an experienced Realtor all will be addressed as you go through the sale. That is why it’s very important to hire the best Realtor from your interview process. We here at Park Side Realty Group are always avaible to answer any of your questions, and make house calls to take care of ALL your Real Estate needs. We will earn the right to be your Realtor for life.